Canadian writer Chad Strong has been around horses most of his life, riding western on rugged trails and in small amateur horse shows. 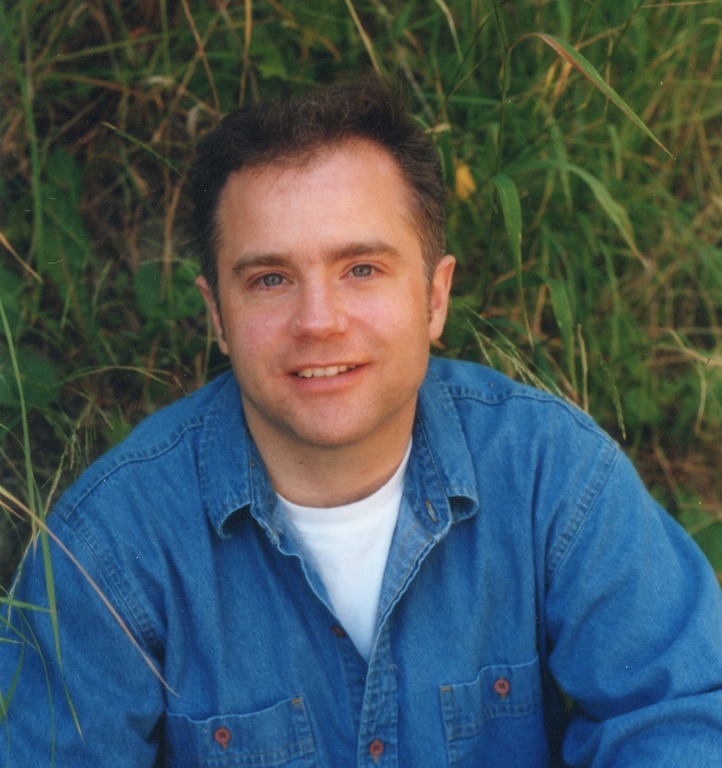 His first novel, High Stakes, is a western historical romance set in Victoria, BC on Canada’s west coast, where he lived for many years. Currently he lives in southern Ontario with his wife and their three dogs and four cats. Welcome, Chad! I came to be part of this project rather serendipitously. In May 2012 I had just published my first novel, High Stakes, a western historical romance, through Musa Publishing, and was searching for ways to promote it when I stumbled upon a group of writers having some interesting conversations on an Amazon forum dedicated to western historical romances. I discovered these ladies to be friendly, intelligent, dedicated to their craft – and very supportive of each other. When the anthology was first proposed I immediately saw the potential to be part of something great. I’ve published several short stories across different genres, and was intrigued by the challenge this anthology presented. Writing short stories is in many ways even more demanding than writing novels – distilling a completeness of character and situation into just a few pages is daunting. The authors contributing to this anthology are all very talented, their stories diverse, and I’m grateful to be included in this collection. My approach to writing for the anthology began with an idea for a young adult story in a contemporary setting with which I was familiar. Stable Hands, Stable Hearts grew out of my love for horses and for living life with them. 17-year old Scott is all set to win his first Hi-Point trophy at the last horse show of the year. But when he thinks he spots the girl of his dreams, will his feelings for her distract him from winning? The announcer called something over the loudspeaker, startling Scott back to the present. His heart still pounding, he noticed his shallow breathing and moist palms and knew they were not show-ring jitters. The class was Western Equitation. Scott settled Dakota into a walk along the rail well behind the horse in front of him. He breathed deep and slow, trying to relax — he didn’t need his nerves upsetting Dakota. But he had to know if it was Jenny. He hadn’t seen her since last summer, nearly a year ago. Why hadn’t he heard from her in the past three weeks? The last she’d said her family was moving nearer her dad’s new job so she might not be able to write much. He signaled his horse to perform the judge’s requested gait changes, reverses, and other maneuvers, trying not to blow the class. If it wasn’t her, he could be allowing himself to be distracted by a complete stranger. Finally the judge instructed them to all line up, facing him, in the center of the arena. Scott swung Dakota in alongside the other competitors. 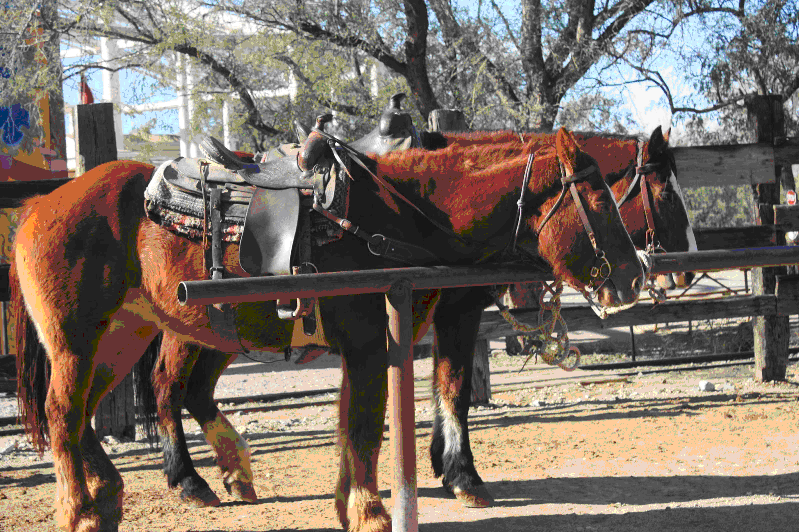 The judge asked them to back their horses. Scott remembered to keep a smile on his face. His eyes searching the trailer area, it wasn’t until Scott heard his own name that he snapped back to the ring. His heart swelled in his chest and he patted Dakota’s neck as he squeezed him forward to receive their blue ribbon. “Way to go, buddy,” he said. Thanking the girl who passed him their ribbon, he exited the ring and rode toward the trailers. Weaving through the crowd of spectators, competitors, and horses, he halted Dakota with a quick intake of breath. It was his Jenny! And she was looking right at him! But standing with his back to Scott and his hand on Jenny’s shoulder was a guy he’d never mistake – Derek. Derek pivoted to see what Jenny was looking at and scowled. Was this why she’d stopped writing? Because she’d come back to be with Derek and didn’t want to tell him? Rawhide ʼn Roses will be released on March 15, 2014. Meanwhile, you might like to try Chad’s exciting novel, High Stakes. 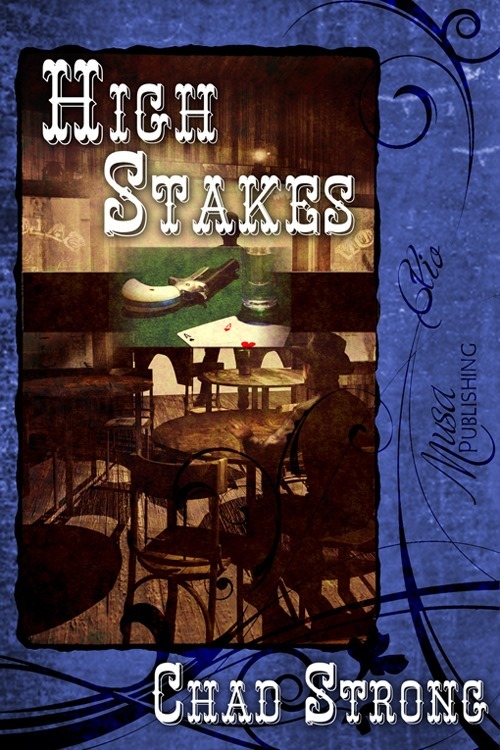 Nominated by the Western Fictioneers for their Best First Western Novel of 2012 Peacemaker Award, High Stakes is a compelling tale with the grit of a western and the allure of a romance. Young gambler Curt Prescott returns home to Victoria, BC after a three-month poker circuit on the mainland. A new “Moral Action Committee” has sprung up in his absence. Headed by the wife of the new preacher, the committee threatens to cast out all soiled doves and gamblers from the city. Curt meets the new preacher, “Bud” Andrews, Bud’s shrewish wife, Sarah, and their idealistic daughter, Mary. Bud seeks to convert Curt while Curt plans to destroy the committee, even if it means seducing Mary to shame the family. Pressures mount for Curt as he tries to help his young constable friend keep the peace with a notorious lowlife, while at the same time trying to ease his jealous girlfriend Del’s insecurities. As Curt falls in love with Mary, the battle for his lifestyle becomes a battle of life and death, and of love lost and found. Thank you, Lyn, for having me and for all your help along the way. Nice to find out more about you. This anthology is such an exciting venture, I can’t wait for Rawhide ‘N Roses to be released, and I am proud to be one of the authors. Thanks, Margaret! I’m very excited to be part of this anthology, too! Chad, so glad you joined the anthology. I have a western historical romance called HIGH STAKES BRIDE, so we almost share a title. Hi Caroline, I’m glad I joined in, too. That’s so cool about our titles! It’s nice to meet you, Chad. Your short story sounds wonderful. Mine is about a man who gentles horses, and oh, lord, I hope I didn’t make any mistakes in the story. I researched the topic and found a wonderful site that helped me a lot. You know many horse lovers don’t like to “break: a horse, and I didn’t like the sound of it either. I actually know very little about horses except that I think they’re one of God’s most beautiful creatures. I’m new to the group, too. Good luck with your novel. Nice to meet you, too, Celia. Yep, gentling a horse is the only way to go. God gave us a creature of indescribable beauty and soul when He gave us the horse. 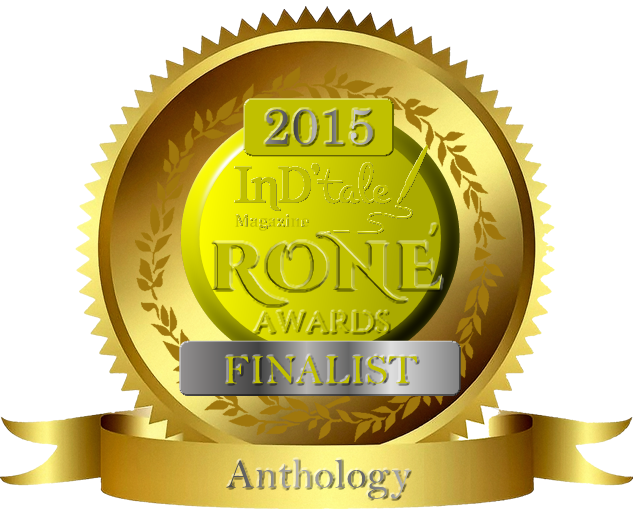 I’m looking forward to reading your story along with all the others in the anthology. Thanks for posting. So nice to read something by a fellow horse lover. Nice to meet you, Ruby. Life would be empty without horses! This sounds like a very interesting short story, Chad. I look forward to reading it. Thanks, Rain. I appreciate your help in getting our stories so well presented. Hi Paty, I’m enjoying getting to know you all, as well. This is a great club to belong to! Hi Cheri, Glad you liked the titles and their excerpts. Hey, another “Chad” — the more, the merrier! I second Sue’s comment, Chad. Can’t wait to read the rest of your story! Thank you, Sue. I’m glad to be riding with this outfit!